Brant, Jennifer. "Cultural Appropriation of Indigenous Peoples in Canada". The Canadian Encyclopedia, 28 June 2018, Historica Canada. https://www.thecanadianencyclopedia.ca/en/article/cultural-appropriation-of-indigenous-peoples-in-canada. Accessed 20 April 2019. Images representing Indigenous peoples have appeared in newspapers, advertisements and other forms of media and print for centuries. Scholars who critiqued these depictions and similar forms of appropriation as acts of colonialism during the late 1970s, 1980s and 1990s, used concepts of class, power, race and gender to explore the ways in which dominant, colonial powers used the practices or cultural items of colonized peoples. The concept of cultural appropriation was born of the works of these academics. In recent years, discussions about cultural appropriation have become part of mainstream literature and art. They have often become part of politicized debates about cross-cultural sharing, responsibility and relationships. Other early forms of appropriation, according to some Indigenous peoples, included depictions of “Indians” in 17th, 18th, 19th and 20th century novels, advertisements and other literature. Created within popular Canadian culture, many of these stereotypical and mythologized images of Indigenous peoples have survived to this day. Historian Daniel Francis has argued that for centuries, non-Indigenous peoples in Canada have created an “Imaginary Indian” ― a false representation of Indigenous peoples that tells us more about white settlers, their culture and history, than it does about the Indigenous populations throughout Canada’s history. This image, Francis contends, is projected on Indigenous peoples and used to the advantage of the settler population. Similarly, displays of Indigenous cultures at late 19th-century and early 20th-century world fairs appropriated Indigenous culture. While exhibit organizers claimed to create authentic portrayals of Indigenous peoples and traditional ways of life, the exhibits mostly conformed to colonial stereotypes about Indigenous peoples as “exotic” and “anti-modern.” However, while such exhibits reinforced entrenched stereotypes about Indigenous peoples, the Indigenous “performers” also declared their cultural persistence, asserted mobility and professed their political defiance against the forces of colonization. Cultural appropriation is the act of taking from someone else’s culture without their consent. This can include using aspects of traditional knowledge or cultural expressions, as well as particular music, dances, regalia, cuisine, symbols, ceremonies, artistic expressions and so on. Cultural appropriation often reflects a racialized power imbalance between two cultures, the taking of culture — rather than the consensual sharing of it — which often, in turn, involves exploitation of one group over another. Cultural appropriation disregards the sacred meanings and stories associated with those practices or items that are being taken. In Canada, the appropriation of Indigenous culture by white, non-Indigenous peoples is rooted in colonization. Critics of cultural appropriation note that, in many cases, it has been used in ways that either perpetuate negative attitudes about Indigenous peoples or celebrate and romanticize them. Moreover, appropriation separates people, their history and lived experience, from cultural symbols, literatures and objects, many of which hold sacred meaning. Some examples of cultural appropriation include the sale of ceremonial objects and craftwork, such as dream catchers, by non-Indigenous people; the use of traditional medicines and health practices by those outside the community; and the use of Indigenous designs or stereotypical images in fashion, advertising, literature and film. For Indigenous peoples, cultural appropriation is best understood within the context of cultural genocide and assimilation. Indigenous ways of life have been threatened since contact, most notably during the residential school era. For years, laws prohibited Indigenous peoples from practicing their cultures and engaging in ceremonies. (See also Indian Act). Conservationist Grey Owl presented himself as the son of an Apache and a Scot. He was in reality an Englishman who devoted much of his life to conservation. 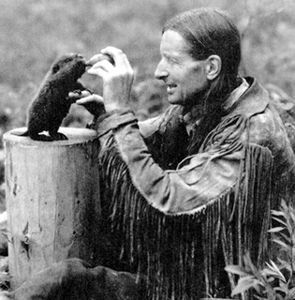 He is shown here with a beaver kit in Riding Mountain Park. Indigenous peoples have often been stereotypically represented in mainstream literature, from portrayals as “noble savages” to rebel warriors to Indian princesses for centuries. Cultural appropriation in literature takes another form when non-Indigenous authors claim to be Indigenous when they are not, such as Archibald Stansfeld Belaney (also known as Grey Owl), and when they write about Indigenous stories or from an Indigenous perspective when they are not of that culture. For example, Canadian writer W.P. Kinsella has been heavily criticized by some in the literary community who accuse him of profiting from stereotypical and insulting representations of Indigenous peoples in his “Hobbema” stories. The controversy over Boyden’s ancestry quickly spread to a wider debate about who can claim Indigenous identity, with many critics calling for Boyden to prove his Indigenous heritage, while others, like writerJonathan Kay, cautioned that “an attack upon a man’s racial composition is never an entirely benign exercise.” In January 2017, Boyden responded to critics with a statement about his mixed-blood ancestry — later claiming to have DNA evidence of Native American heritage — but also acknowledged that he intended to step back from his role as an active voice on Indigenous issues. The events touched off a debate on social media, with some arguing that cultural appropriation is an inescapable part of the creative process for many artists and authors of different backgrounds. Others maintained that cultural appropriation, where it occurs without permission or where it results in unfavourable representations, is not permissible within creative license. In response to the controversy stemming from the proposed appropriation prize, TWUC’s Equity Task Force issued a statement and a list of demands including anti-racist education for all TWUC staff, national council and editorial committee members. A variety of writers, scholars and activists also created the Indigenous Voices Awards — a literary contest born out of this controversy that supports Indigenous writers. In October 2016, Indigenous architect Douglas Cardinal filed a complaint with the Ontario and Canadian human rights commissions, claiming that the name and mascot of the Cleveland Indians (“Chief Wahoo”) discriminate against Indigenous peoples. He also filed an application with the Ontario Superior Court, hoping for an injunction requiring the team to wear another uniform during a game in Toronto and requiring the Canadian broadcaster to avoid using the name and logo. However, Superior Court Judge Thomas McEwen ruled that the team was not breaking any Canadian laws against discrimination. The baseball game scheduled to take place in Toronto therefore went on with the Cleveland team displaying its name and mascot. On 29 January 2018, the Cleveland Indians announced plans to remove the Chief Wahoo logo from their uniforms, beginning in 2019. The name of the team remains the same, however, and it will continue to sell merchandise bearing the image in certain physical retail outlets. Some Canadian sports teams have made efforts to address cultural appropriation. For example, the Nepean Redskins (a minor league football club) became the Nepean Eagles in 2014 after Ian Campeau of musical group A Tribe Called Red filed a human rights complaint and subsequent criticism from Indigenous peoples. Activists have similarly pushed the Edmonton Eskimos (a CFL team) to change their name. Prime Minister Justin Trudeau, Alberta premier Rachel Notley and other local politicians, as well as high-profile Indigenous peoples such as ITK president Natan Obed and singer Tanya Tagaq, also support a name change. CFL commissioner Randy Ambrosie said that the team is discussing the matter with Indigenous communities. In 2015, the Winnipeg Jets (an NHL team) banned the wearing of fake headdresses to games. Initially denying this request, team owner Mark Chipman had a change of heart after speaking to First Nations leaders such as MLA Kevin Chief and Grand Chief Derek Nepinak of the Assembly of Manitoba Chiefs. 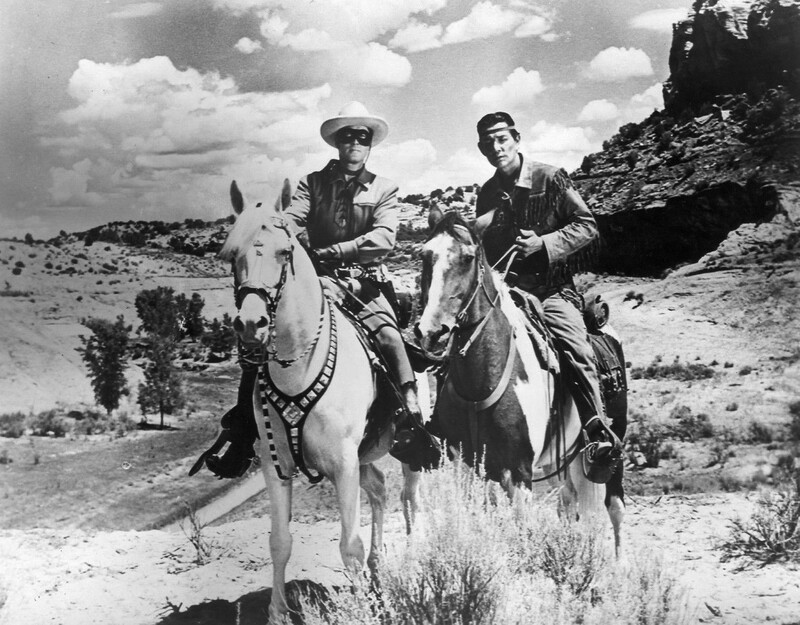 Photo of Clayton Moore as the Lone Ranger and Jay Silverheels as Tonto (1956). While Silverheels was Indigenous, his character Tonto and the Lone Ranger series and films typified the "noble savage" stereotype of a naive but brave friend to the White lead. Film and television have appropriated Indigenous culture and promoted stereotypes of Indigenous peoples. For example, the character Tonto in the Lone Ranger series and films (played by Mohawk actor Jay Silverheels in the 1956 and 1958 movies) films typified the “noble savage” stereotype of a naive but brave friend to the white lead. Directors have also been known to cast non-Indigenous peoples to play Indigenous parts. Scholar Rayna Green first described this phenomenon as “playing Indian” — a process where the colonizers take on the supposed identity of the colonized, resulting in the promotion of stereotypes. Indigenous artists have made films that try to dispel such stereotypes. These include Thomas King’s I’m Not the Indian You Had in Mind (2007), which explores how First Nations people are challenging old ideas and empowering themselves in society, and Neil Diamond’s Reel Injun (2009), a documentary that explores the portrayal of Indigenous peoples in film. In addition, films like Atanarjuat: The Fast Runner (2001) — an Inuit tale performed by Inuit actors in Inuktitut — help to promote an authentic understanding of Indigenous culture. In March 2015, the Canadian designers of Dsquared2 launched a women’s collection under the name “.dsquaw” and presenting Indigenous-inspired designs. The term “squaw” is a highly offensive and derogatory term that has been used against Indigenous women. After much criticism, the company’s founders, Dan and Dean Caten, released an apology in 2016. Other examples include the sale of provocative and culturally insensitive Halloween costumes, such as headdresses. In 2016, Party City and Spirit Halloween received backlash for carrying costumes such as “Reservation Royalty” and “Native American Princess.” The display and sale of these costumes are believed to perpetuate derogatory messages about Indigenous peoples, including the sexualization of Indigenous women. For centuries, Indigenous arts and crafts have been appropriated by white settlers for the tourist industry and for other means of profit. The display of sacred masks, mass reproduction of beadwork and other crafts, wearing of regalia and commercial reproduction of cultural items by non-Indigenous peoples are considered by some Indigenous peoples to be insensitive and inauthentic. In 2017, an accusation of cultural appropriation in fine art made headlines. Non-Indigenous artist Amanda PL attracted criticism after she unveiled art that she says was inspired by Anishinaabe artist Norval Morrisseau. Many of Morrisseau’s defenders argued that Amanda PL’s art did not simply borrow heavily from his work, it stole from him. Visions Gallery in Toronto, where Amanda PL was set to display her art, canceled the exhibit after media backlash. An Inukshuk on grassy hillside. Indigenous culture has been used to promote Canadian anniversaries and events. 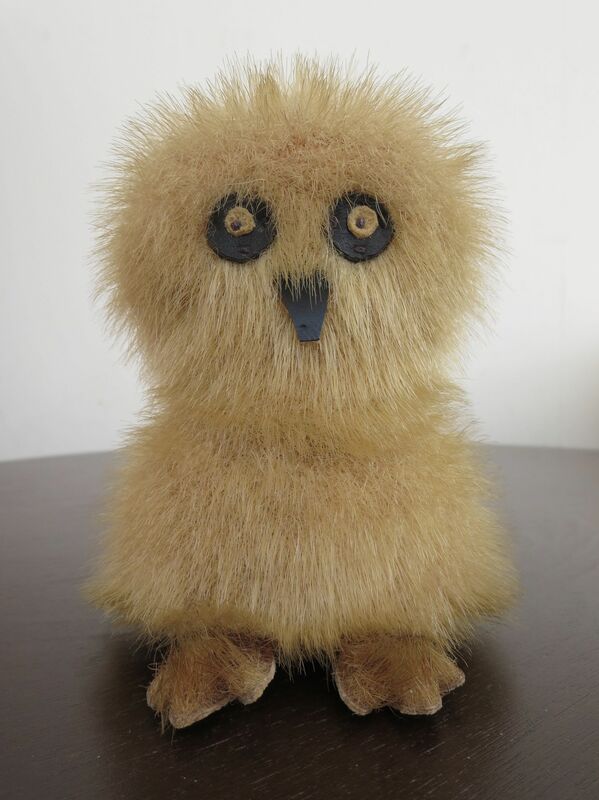 For example, Ookpik, the lovable Inuit-made toy owl, became Canada’s mascot during an international trade show in Philadelphia in 1963 and Expo ’67. Similarly, the 2010 Winter Olympics in Vancouver used a figure resembling an inuksuk as its logo — an act the Inuit viewed as offensive and culturally inappropriate. 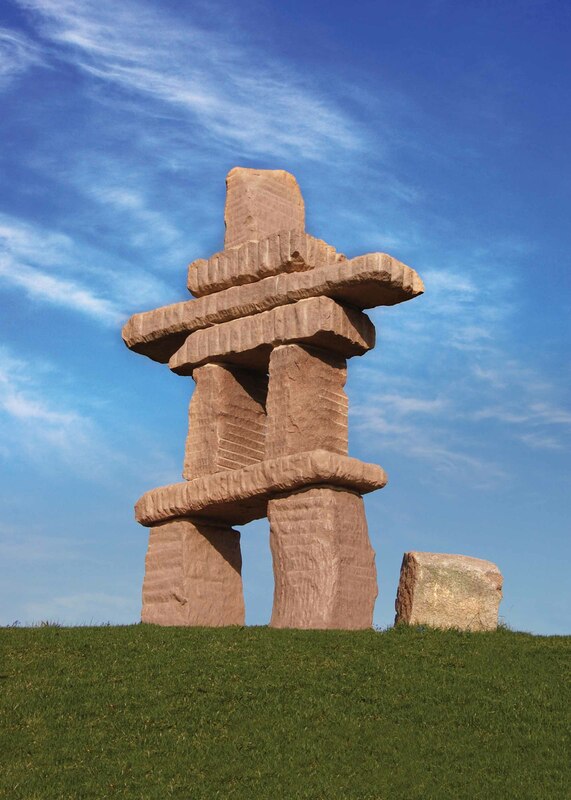 While stone figures resembling human forms are often referred to as inuksuk, such figures are actually known as inunnguaq. The use of Indigenous symbols in nationalism often draws criticism from those who argue that this only serves to commodify culture while refusing to engage policies and practices that threaten this culture —like the Indian Act. During Canada 150 (celebrations for Canada’s 150thanniversary of Confederation), many groups were cautious of cultural appropriation, asking how to properly and respectfully incorporate Indigenous content into their celebrations. However, there were instances where organizers simply drew from a history of stereotypical and romanticized depictions of Indigenous peoples, lifeways and cultural artifacts. For example, a masquerade band participating in the Toronto Caribbean Carnival presented two collections portraying Indigenous people in stereotypical dress: “Oh Kanata” and “One Nationz.” Models dressed in bikini-style costumes with feather headdresses resembling the traditional and ceremonial war bonnet of the Lakota nation prompted accusations of cultural appropriation and hypersexualization of women. The debate on whether or not the costumes should be pulled from the festival took social media by storm. Proponents of the collections argued that there is a deep history of the “Indian mas” tradition in Trinidad. However, Camille Hernandez-Ramdwar, a Caribbean studies scholar, noted that the “fancy Indian” costume of Trinidad Carnival is rooted in Hollywood’s depictions of Indigenous peoples and is arguably appropriation. Indigenous fashion designers have worked to address issues of cultural appropriation in the industry. Jamie Medicine Crane (Siksika) and Trip Charbs (Ojibwe) are just two examples of artists and designers who create pieces that showcase Indigenous culture in an authentic, meaningful way. Cultural appropriation is considered to be harmful for several reasons. First, it tends to lock Indigenous peoples into the past without acknowledging that they are still living, practicing sacred ceremonies and that contemporary Indigenous peoples extend their worldviews and livelihood throughout all segments of society. In this way, it has been observed that cultural appropriation continues to present Indigenous peoples as a conquered group of the past, limiting understandings of Indigenous peoples as contributing and valuable members of contemporary society. Second, it often places the many distinct Indigenous nations into one category without acknowledging the sophistication and diversity of Indigenous peoples that transcends this limited category. In many cases, this divides understandings of Indigenous peoples into binary representations that extend colonial ideologies to present-day racialized perceptions. Third, local artisans such as basket makers end up competing with the commercialization and appropriation of their work. The debate over retailers selling dream catchers as part of their Canada 150 merchandise is an example of appropriation that threatens the work of local artisans and also devalues the cultural teachings that accompany dream catchers. Dream catchers come with a teaching that is shared as part of the oral tradition of the Anishinaabe people and carried by many nations who have come to know and honour the story of the dream catcher. Scholar and writer Niigaan Sinclair has argued that the difference between appropriation and appreciation of Indigenous culture is that the former is “theft based on power and privilege,” whereas the latter is “engagement based on responsibility and ethics." Some critics continue to note the importance of engaging with the traditions and teachings of other cultures as part of a creative process. Cultural appreciation — as opposed to cultural appropriation — is considered to be characterized by a meaningful and informed engagement that includes acknowledgement and permission. Within many Indigenous communities, cultural appreciation includes the establishment of reciprocal relationships. Such practices might include territorial acknowledgements, respecting the significance of regalia and supporting Indigenous arts through the purchase of authentic crafts, clothing and works of fine art. Daniel Francis, The Imaginary Indian: The Image of the Indian in Canadian Culture (1992, republished 2011). Ian J. McNiven and Lynette Russell, Appropriated Pasts: Indigenous Peoples and the Colonial Culture of Archaeology (2005). Gerry Biron, “The cultural appropriation of American Indian images in advertising, 1880s–1920,” Whispering Wind 44, 3 (2016). Chelsea Vowel, Indigenous Writes: A Guide to First Nations, Métis & Inuit Issues in Canada (2017). NATIONAL POST Former editor of The Walrus speaks about his resignation following tense debates about cultural appropriation and free speech. HUFFPOST Read about cultural appropriation in the fashion industry. SPACING Read about the reclaiming of Indigenous places and spaces in the streets of Toronto. INDIGENOUS ARTS AND STORIES A project of Historica Canada, Indigenous Arts and Stories is the largest and most recognizable art and creative writing competition in Canada for Indigenous youth. Search this site to see some of the art and read some of the written works about subjects affecting Indigenous communities.